Synopsis: Public Safety responded to Beardsley Hall for the report of missing items that might been thrown out. The matter is under investigation. Synopsis: Public Safety received a report that numerous Swarthmore students were drinking in Wharton Residence Hall. Some of the students were underage. The matter was referred to the Dean’s Office. Synopsis: Public Safety received a report that a Swarthmore student received an offensive text from an unknown individual during an orientation program. The matter was referred to the Title IX Office. Synopsis: Public Safety responded to Whittier Hall for the report of a drone that landed on the roof. The drone was found and returned to its owner. Synopsis: Public Safety responded to a fire alarm within Worth Residence Hall. There was no smoke or fire, and the cause for the alarm was undetermined. Facilities was notified. Synopsis: Public Safety responded to a fire alarm within Willets Residence Hall. There was no smoke or fire, and the cause for the alarm was undetermined. Facilities was notified. Synopsis: Public Safety responded to a smoke detector alarm within Woolman Residence Hall. There was no smoke or fire; the cause for the alarm was a humidifier. Synopsis: A Swarthmore employee found drug paraphernalia within the Amphitheater. The items were given to Public Safety. Synopsis: Public Safety responded to the report of an unknown odor within David Kemp Residence Hall. Upon arrival, there was no odor detected. Synopsis: Public Safety responded to the Scott Arboretum for the report of a visitor who had fallen. There was no need for further medical attention. Synopsis: Public Safety and Swarthmore Police responded to Chester Road for a disabled vehicle. The vehicle was towed from the scene. Synopsis: Public Safety responded to Clothier Fields for the report of unknown juveniles on the field. Upon arrival, the individuals had fled the area. No damage was reported. Synopsis: Public Safety responded to the report of a fog machine in use in Willets Residence Hall. Upon arrival, the fog machine was confiscated, and it was determined that Swarthmore students were drinking underage. The matter was referred to the Dean’s Office. Synopsis: Public Safety responded to a noise complaint within Willets Residence Hall. Upon arrival, it was determined that there were Swarthmore students drinking within the residence. The matter was referred to the Dean’s Office. Synopsis: Public Safety responded to Cunningham Fields for the report of an injured individual. The non-Swarthmore individual was transported to the hospital. Synopsis: While on patrol, Public Safety observed an unauthorized party within Worth Residence Hall. A Swarthmore student was found intoxicated but did not need further medical attention. The matter was referred to the Dean’s Office. Synopsis: Public Safety responded to Willets Residence Hall for the report of an ill Swarthmore student. It was determined that the student was intoxicated, and they were transported to the hospital by Swarthmore Ambulance. The student was cited for underage drinking. 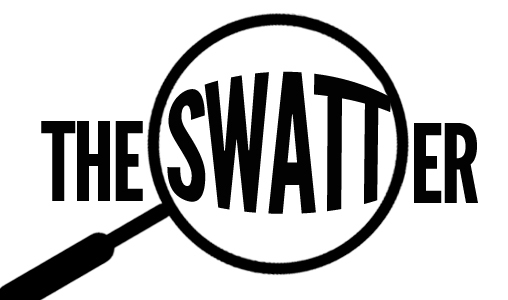 Synopsis: Public Safety responded to the report of an ill Swarthmore student within Willets Residence Hall. Upon arrival, it was determined that the student was intoxicated but did not need further medical attention. The matter was referred to the Dean’s Office. Synopsis: While on patrol, Public Safety observed an ill Swarthmore student at the exterior of Sharples Dining Hall. It was determined that the student was intoxicated, and they were transported to the hospital by Swarthmore Ambulance. The student was cited for underage drinking. Synopsis: Public Safety, Swarthmore Police, and an ambulance responded to Clothier Hall for the report of an ill Swarthmore student. It was determined that the student was intoxicated, and they were transported to the hospital. The student was cited for underage drinking. Synopsis: Public Safety responded to a fire alarm within Clothier Hall. There was no smoke or fire. It was determined that someone had pulled the alarm without cause. The matter is under investigation. Synopsis: Public Safety, Swarthmore Police, and an ambulance responded to the report of an ill Swarthmore student within Willets Residence Hall. Upon arrival, it was determined that the student was intoxicated, and they were transported to the hospital. The student was cited for underage drinking. Synopsis: Public Safety and Swarthmore Ambulance responded to Willets Residence Hall for the report of an ill Swarthmore student. It was determined that the student was intoxicated, and they were transported to the hospital. The student was cited for underage drinking. Synopsis: While on patrol, Public Safety observed a vehicle driving quickly through campus. The vehicle was stopped and left campus without incident.